As an urban development project, HafenCity is a topic of conversation far beyond Hamburg: it is a focus of interest throughout Germany, and internationally. The reason? On the one hand, as Europe’s biggest inner-city development project and because of its sheer size and its ambitions in terms of quality, HafenCity requires legitimation and transparency. On the other hand, continuing interest in the project is the outcome of an all-embracing communications strategy that earned those responsible at HafenCity GmbH the most valued property brand prize in the “best marketing of an economic region” category in October 2009. At the beginning of the whole development, it was important to make this new inner-city district visible to the public; first of all, HafenCity needed to be put on the map for many Hamburgers. In spite of its central location, the area’s exclusive use by the port industry had excluded it from public urban life: until the beginning of 2003, HafenCity was still separated from the inner city by a customs fence and exclusive port uses. The starting gun for more intense public awareness was a series of events such as the HafenCity Run, a charity run through the HafenCity site, or the arrival of large cruise ships such as the Queen Mary 2 (greeted for the first time in 2003 by more than 300,000 people); these helped to attract hundreds of thousands of curious visitors into the planned district at a very early phase of development, long before the arrival of any residents or new jobs. An information center in Kesselhaus, the restored Speicherstadt boiler house, opened in December 2000, displaying a model of the new district, plans and changing exhibits on different topics. This is the starting point for regular tours of HafenCity today. As well as general tours, special visits for schools and student groups or interested experts can also be arranged. In 2009, around 260,000 people visited Kesselhaus. Every year around one thousand tours and talks are organized. HafenCity Hamburg GmbH offers a large selection of publications which are available to interested parties: some are aimed at residents or people working in the district, others at developers, potential investors and decision-makers. Four times a year, a newsletter detailing the latest developments and the state of progress appears in print, as well as a 50-page project brochure that is updated twice a year and published in German and English, as well as edited versions in French and Chinese. All projects and investors are also listed in an annually updated booklet which, for instance, helps people looking for accommodation to pinpoint the right contact in an organization. A series of workbooks also covers specific subjects in greater depth (e.g. the history of the area or town planning and architecture) and, through its revamped website, HafenCity Hamburg GmbH also makes available wide-ranging information online for different target groups. People living and working in HafenCity also have the opportunity to discuss topics at a variety of information events in their city district; interested professions and potential investors will find HafenCity represented on important real estate trade fairs such as MIPIM or ExpoReal. HafenCity Dialogs also give Hamburgers the opportunity to discuss critical questions with experts, developers or politicians. 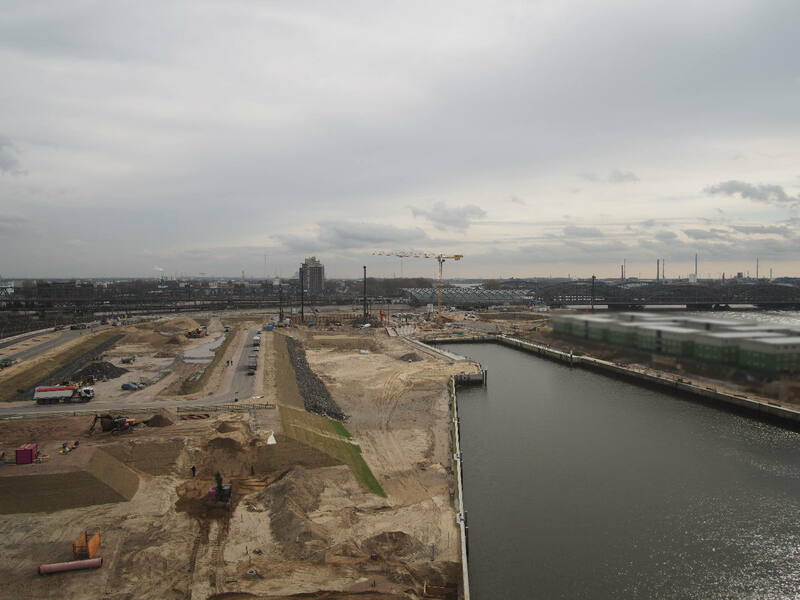 Once a month since 2004, a 45-minute television program featuring HafenCity information and discussions has been broadcast on local channel Hamburg 1. As realization of HafenCity progresses, it is increasingly important to strengthen dialog within this new part of town. Anyone moving into HafenCity, for example, now receives a “welcome package”. An urban sociologist employed by HafenCity Hamburg GmbH has the task of creating triggers to encourage socializing among neighbors and is available as an advisor. This is how the first playground and the play house were planned jointly with parents - the play house is actually run by parents. It was also HafenCity Hamburg GmbH’s idea to found the Netzwerk HafenCity club - a local network. It functions as a forum for cooperation between the various HafenCity users and is the expression of their taking increasing responsibility for the ongoing development of their new social environment. There is close contact between Netzwerk HafenCity and HafenCity Hamburg GmbH. As it becomes better known, HafenCity is increasingly becoming the focus of academic interest. The formation of social neighborhoods, for example, has been the subject of research in cooperation with HafenCity University for several years. HafenCity has also had a presence on international congresses for years, such as those of the renowned Urban Land Institute or universities in Europe, Asia and North America.